Canning Pie Filling - An education in Clear Jel - Canning Homemade! 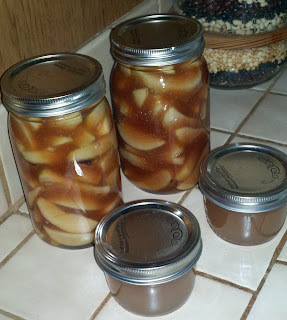 We are coming into the apple season and one of the most popular things to make in canning is apple pie filling. It seems that over the years with all the testing that has gone on in making recipes safer for canning the thickener, or cornstarch, that makes the luscious almost caramel filling for the pie has been stricken from the record. In its place a more difficult product to find, but the results are so much better. I have been getting some negative feedback about not being able to use cornstarch since it's so readily available. I wanted to show you what happens when you use this to can your pie fillings. It's clumpy and unstable and not appetizing by any means. The consistency is more revolting when you put it in the crust without first heating the entire contents back to a simmer. Now if I am going to all the trouble to cook the apples with the filling the first time, I certainly do not want to cook it again just to fix the consistency. 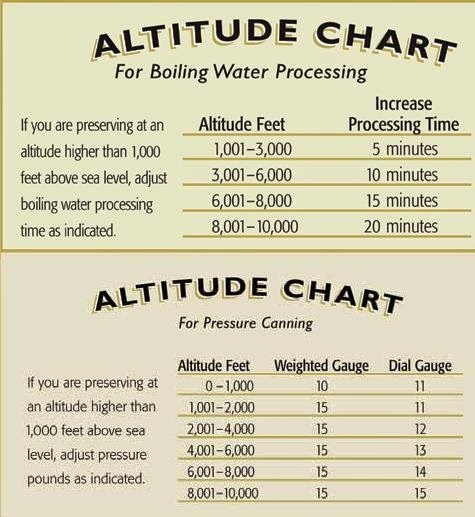 In addition, here are the other products that are less than desirable to use in your pie filling recipe which will leave a similar effect on the final product after about four months. Tapioca Starch, Potato Starch, Arrowroot, Quick cooking Tapioca Pearls and especially flour. testers of recipes in the form of a modified cornstarch that will produce a more successful product. It was found by way of commercial bakers and used as their ingredient to have a consistent creamy filling. This product is called Clear Jel. The final product will show a clear filling that has no starch or flour taste. There is an "instant" version that can be used for the freezer recipes for doing the filling, cream sauces, puddings, and custards as well. The positive side with regard to the safety of Clear Jel is that the modified cornstarch does not start to thicken the produce and filling until it begins the cooling process. The heat is better distributed during water bathing in the jar which leaves you with a safer product. If you are looking to use this product it may be difficult to find locally. Check amish grocery stores, but I can tell you that Big box supermarkets just don't carry it. If you purchase a 1 pound package of Clear Jel which is about 3 to 3 1/2 cups enough to make at least 7 or more quarts of pie fillings. Clear Jel ordered from SB Canning Store is shipped USPS Priority Mail 2-3 day delivery! I would order in advance of the fall season to make sure that you have it on hand. The shelf life for Clear Jel is one year stored in an airtight container. The brand that SB Canning sells is Non-GMO and Gluten free and has a shelf life of two years!